The long-awaited second album from the sibling trio already boasts one No. 1 hit. Looks like they're not "DONE" yet. Another pop-country icon, John Denver was, at his core, a folk songwiter. He receives an all-star salute from Emmylou Harris and Brandi Carlile, Mary Chapin Carpenter, Amos Lee, My Morning Jacket, Train and others. The "Redneck Woman" strikes again, but this time with a southern rock flair. The lead-off track on the disc, "Get Outta My Yard," was co-written by Kacey Musgraves, with Shane McAnally and Brandy Clark. A pop-country icon whose "Raindrops Keep Fallin' on My Head" earned an Oscar in 1970. This "unplugged" collection reworks that hit (with Lyle Lovett) and more of his best-known tunes, as he duets with Vince Gill, Richard Marks, Keb' Mo' and more. A guitar legend and a conductor who made classical music "pop" come together for a unique country collaboration. 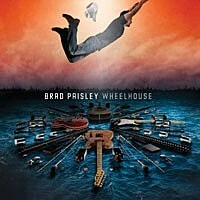 In addition to producing his own album for the first time, Brad steps out of his "Southern Comfort Zone" and experiments a bit. The eclectic guest list includes Monty Python alum Eric Idle, rapper LL Cool J and Hunter Hayes and Dierks Bentley with the late Roger Miller. Also available in a deluxe version. Bursting with electrified versions of songs from his first three studio albums, Sinners Like Me, Carolina and Chief, Eric's first full-length live collection offers a sampling of what concertgoers have been experiencing since the beginning of his critically-acclaimed career. Although this new project only has five songs, fans have been waiting a long time for new tunes from the singer. Originally announced under the title Salt Life, the EP's tracks, all co-written by the singer-songwriter, are "Fix Me," Whole Damn Thing," "Saturday Afternoon," "Always" and "Salt Life." The vinyl release of this pristinely-produced and beautifully sung collection will no doubt sound even more so. Coming just two weeks shy of the entertainment icon's 80th birthday, Willie and his Family band offer up an eclectic batch of songs from Carl Perkins, Irving Berlin, Django Reinhart and the master songwriter himself. 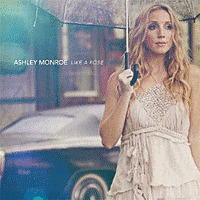 Texas native whose last album, Double-Wide Dream, dropped in 2011 and landed in the Top 10. Cut from the same ragged cloth as Pat Green, Robert Earl Keen and Randy Rogers Band, his live shows have been drawing raucous crowds for a decade. 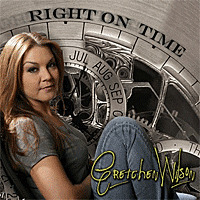 The follow-up to 2010's Wreck Your Wheels, is the singer-songwriter's second in a row to be recorded in Nashville with her bandleader Neilson Hubbard. Kim is the writer of Trisha Yearwood's No. 1 hit, "Believe Me Baby (I Lied)" and has sung on several of the country superstar's projects. 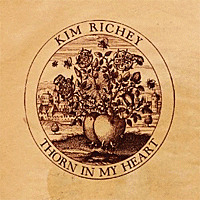 This album marks the first time Trisha is featured on one of hers. Joined by his live band for this collection, the singer-songwriter and sometime actor features two songs co-written with Lucia Micarelli, Steve's co-star on the HBO series, "Treme." A limited-edition version of the album includes a bonus DVD with the music video for "Invisible" and four "Austin City Limits" performances among its treasures. A staple of the Texas Music chart whose latest hit, "We Do It in a Field," reached No. 1, this prolific Lone Star state native is poised for a major breakthrough nationwide. As if one country star weren't enough, there's also Granger's alter ego, Earl Dibbles Jr., whose YouTube videos have garnered more than four million views. The latest "X Factor" champ has been performing since he was four years old. His debut was produced by Blake Chancey (whose credits include the Dixie Chicks, Waylon Jennings and Little Big Town). 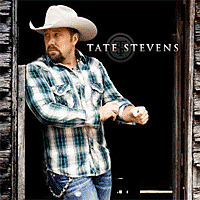 His self-titled debut will feature three songs co-written by Tate. He has sold more concert tickets than anyone in country music (and even some of the biggest names in pop and rock), but lest anyone forget that Kenny makes new music from time to time -- and what an event his new releases can be -- consider this: his last eight studio albums all debuted at No. 1 on the Top Country Albums chart, and six of those topped the Billboard 200 as well. This should be one solid Rock.